Although it was perhaps not as explosive as last year – when 3D Systems led the industry with 24 new system announcements, Voxeljet had just gone public and media hype was nearing the top of the enthusiasm curve – I think this year’s Euromold gave much clearer indications as to the long term stability of the 3D printing industry and to the fact that this technology is not just here to stay but it will rapidly disrupt many more of the current manufacturing processes. Laser-manufacturing developments among innovations at Frankfurt show. This week, Euromold, the global fair for moldmaking and tooling, design and application development is taking place in Frankfurt am Main, Germany. More than 1,000 exhibitors are presenting the latest molding, prototyping and manufacturing technologies, including a significant number of photonics-based and laser additive manufacturing / 3D printing systems. I have to admit that, when I found out that this year’s 3D Printing and Additive Manufacturing Industrial Applications Global Summit was going to coincide with EuroMold, I had to think long and hard about participating directly. Last year’s event set the scene and provided an incredible amount of background information on 3D printing for the incredible 12 months that have followed, but would it be the same again this year? 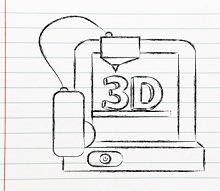 Inside 3D Printing, die führende B2B Konferenz zum Thema 3D Druck und additive Fertigung, kehrt nach Berlin zurück! Diesmal mit doppelter Ausstellungsfläche und 3 Tracks – Mehr Wissen, mehr Networking, mehr Business! When it comes to the first day of Euromold, manic doesn’t quite cover it. For any member of the 3D printing press, and we’re a growing breed, Euromold — held annually in Frankfurt, Germany at the end of the calendar year for anyone wondering — is a must attend event. That’s because it is a not to be missed, vast exhibition for all of the big 3D printer vendors that serve the industrial sector — for prototyping, tooling, casting and more prominently this year, manufacturing and production. I didn’t even pack any heels this year, I HAVE learned my lesson(s)! 3D printing has been gaining a lot of traction as of late. Whether it’s mainstream retail stores taking a liking to the technology by beginning to sell desktop 3D printers, or it’s huge corporations, such as Hewlett Packard, feeling the need to enter the market for the first time, without a doubt 3D printing is getting its fair share of recognition. With all the recent news surrounding Richard Brandson, you might almost forget that he is a business man and investor, rather than an aerospace engineer. As the boss of Virgin Group, a widely successful enterprise comprising more than 400 businesses, investing and innovating is what he does best. And the crowds go wild! You may be already be getting your engine started just imagining yourself in Frankfurt at EuroMold 2014, one of the world’s largest trade fairs. Materialise wants to add to the excitement, however, and invites you to enjoy the added bonus of getting in on some of the more fun aspects of 3D printing after hours. A Slot Car Race is being held by Materialise on Tuesday, November 25th from 5:00 pm to 10:00 pm at Messe Frankfurt, Germany during the Materialise Evening Reception. There are many reasons why Israel offers an ideal landscape for the evolution of 3D printing: it is a promised land for start-ups and tech companies; it does not have many large manufacturing companies on its territory and it is (and has always been) a place of change, in continuous evolution, experiencing rapid growth. The Coex Exhibition Center in Seoul is the most popular convention & exhibition center in South Korea and this past week it hosted the 3D Printing Korea 2014 Show, organized by the 3D Printing Industrial Association (also known as 3DPIA) of Korea. The exhibition forum was shared with the 22th Korea International Sign & Design Show (KOSIGN 2014) and took place over four days last week.